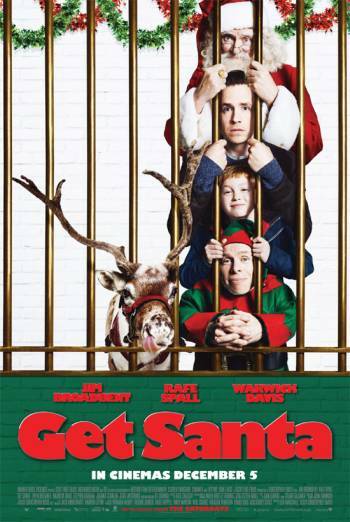 GET SANTA is a family Christmas film in which Santa Claus is arrested when he tries to recover his reindeer from Battersea Dogs Home and a young boy must come to the rescue. There is a fight sequence in a prison gymnasium between a small inmate and a prison officer, with several comic punches. There is no blood or injury detail. There is also some mild crude humour, with several reindeer passing wind and several references to 'farting'. In another scene reindeer poo is fired at police vehicles, splattering against windscreens and some hitting an officer in the face. Very mild language is limited to infrequent use of 'god' and 'hell'.